HELP! SAVE THE REAL DOG! Those carefully crafted words of Tennyson come back to me whenever I go to Crufts, look in the various rings and consider all the striving for perfection which precedes the show. We all admire a handsome dog and a show judge has to rate each exhibit on its closeness to the breed standard. But the memorable dogs whether in a kennel or the house are the characters, those with individuality. A German Shepherd Dog with one ear up and one down would not win at Crufts but it may well win a contest for sheer personality. We must be careful in our pursuit of perfection of form that we do not end up neglecting character. 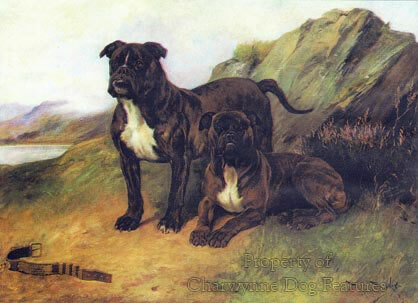 Gimcrack dogs, bred solely for ornamental value, are playthings really, part of a collection rather than of the family. When a sire with ten challenge certificates but a total lack of charisma, self-will, get up and go, or any 'gameness' in it, is extensively bred from then we are surely seeking boring listless offspring, whatever their perfection of form. The word 'game' is sometimes hijacked by the dog-fighting fraternity to indicate a combative character. It should mean having the spirit to achieve a task, a valued asset in sporting and working breeds. Of what value is a Husky which won't persevere, a Collie which won't take on a wayward bull, a spaniel which won't seek a way through seemingly impenetrable gorse or a terrier afraid of rats? Modern times have brought about dogs of high financial value but little functional worth. 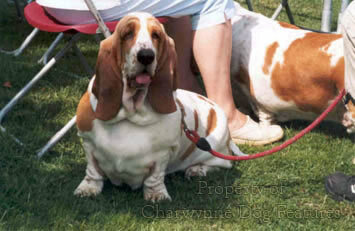 J Wentworth Day, the sportsman and writer, had very definite views on character in dogs. In his The Dog in Sport (Harrap, 1938), a wonderful read for any teenager interested in dogs, he wrote, on the subject of the Dachshund: "Born a fighter, bred a warrior, nurtured on Nordic aims of war, he has become a mere paddler about carpets, a licker-up of chocolates, a sycophant at women's knees. So the days of dogs decline." And on retrievers he wrote: "...I mourn for individuals among them. The show-bench and the drawing-room have made fools of them, undermined their character, ruined their stamina, set their nerves on edge, reduced them from working dogs to park paddlers, tea-table sycophants, and drawing-room druggets." He never truly mastered understatement! Dogs developed as functional creatures and those specialising in certain tasks over several hundred years merit our empathy. We seem to take more interest in coat colours and tail lengths than functional capability in dogs, and they deserve better. I warm to show ring judges who still try to reward the working physique in their entry. But, some will cry, the breed standard will protect the functional anatomy. If only this were true. There are clearly breeders of sporting and working dogs who have no idea whatsoever of the build which allows their breed to function. The critiques of more enlightened judges illustrate this fact. But critical remarks from more widely read professional journalists do no favours to the show dog industry. Writing in the 21 Sept 2002 issue of The Spectator, Robert Gore-Langton produced this paragraph: "Whatever it was that won Crufts earlier this year, it wasn't a dog. It was, more like, the love-child of Danny La Rue and a vast gerbil. With vast blobs of white fluff and patches of chicken skin, this coiffured quadruped was a glaring example of what happens when dog breeders go pedigree-mad. They end up with award-winning powder puffs about as stupid as cows. It is outrageous that while these animals are given rosettes, real dogs with real jobs are under threat." Such a view of exhibition-dogs is neither new nor rare; but linked with falling entries at shows, falling registrations with the Kennel Club and changing attitudes towards the treatment of animals by humans, should such a view be merely shrugged off? Crufts presents a unique opportunity to interpret for the viewing public the many sides of the pedigree-dog industry. But what sort of national TV coverage does it attract? Gushing fluffy doggie-worshippers, with little knowledge of the purpose and value of breeds, delivering glib lines of worthless superficiality ad nauseam. What a missed opportunity! And the Kennel Club, responsible for the outward face of the pedigree-dog industry, facilitates this coverage every year! Magazine columnists may well be reacting to the coverage rather than the experience. If so, breeders of pedigree dogs deserve better and the governing body in their world needs a good kicking. Crufts does, not surprisingly, embrace the best of the very best (as it claims) and the poorest of the poor (as it is loathe to concede). There are gifted breeders exhibiting their stock there and not only perpetuating breeds which might otherwise be lost to us but producing character-packed dogs which could earn their keep in a working environment. Sadly there are also breeders there who would be better off showing stuffed dogs on wheels, for they show no respect for the functional essence of their produce. The more dogs are exhibited when they cannot move freely or without discomfort, are practically muzzle-less or suffering from red-raw eyes, or with coats too profuse and long for the wearer's comfort, then the more will writers like Robert Gore-Langton advise the public to buy a lurcher. There is nothing new either in the public distaste for over-exaggerated harmfully-constructed dogs or in press criticism of show ring exhibits. What is new is the ability of the news media to reach into every home with revealing pictures, coupled with a revitalised if sometimes misguided interest in animal welfare. The former of course fuels the latter. Animal welfare campaigners, and many have my support and admiration, can be misled by hidden agendas. When I was young a ban on hunting with dogs would have been unthinkable; is a future campaign against showing dogs with physical limitations too absurd to contemplate? It could be based on selective evidence, tendentious arguments and flawed debates, just as so much parliamentary business is conducted. It would be foolish in my view to assume that the new wave of moral vanity in the name of animal welfare will not affect the pedigree-dog world one day soon. If the best bred fittest dogs in the country can be banned from engaging in their centuries old activities, what chance have the less fit often less well-bred dogs have in engaging in their century-old show ring activity? And before precise comparisons are made between showing and hunting, and the scoffing starts, could we commence by defining cruelty? The tabloid press could produce any number of scientifically-qualified 'experts' to state that shortened legs, lengthened backs, truncated muzzles, sagging eyelids, excessive coats and bulging eyes are cruel and unacceptable in a civilized society. Before shouting 'twaddle', do recall the way in which the docking debate was conducted. And was the Dangerous Dogs Act based on sound argument? The pedigree dog world is a very diverse one. There is a gulf between the working and the showing side in so many breeds. Just as most dog owners don't hunt, most dog owners don't show - so why should they care? The operating bodies rarely cooperate, the ISDS sometimes with the KC but MFHs never. Breeds go their separate ways too; why should the owner of a Pekingese care about the Dangerous Dogs Act? Why should the owner of a Staffie care about breeds accused of having undesirable and harmful exaggerations? Why should the powerful GSD clubs get in a lather about docking? 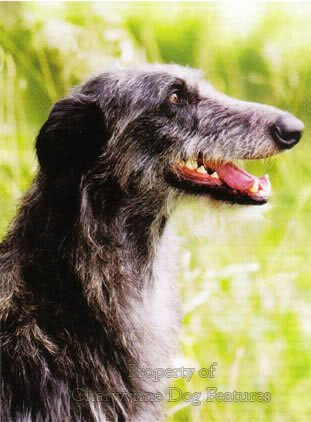 Who in the world of pedigree dogs gives a damn about lurchers? When hunting with dogs, the docking of dogs' tails (by anybody) and the possession of a powerful guarding breed can each be legislated against after a thoroughly unconvincing debate, it may actually now be easier to legislate against the breeding of dogs bearing harmful exaggerations. And which body will be heading up any opposition to such legislation and with what support? The hunting fraternity? The working sheepdog owners? The working gundog lobby? I doubt if 400,000 would march round London to protest. Such issues are settled on emotive bases and who would march under a banner supporting harmful exaggerations, however harmless many would argue they can be? Perhaps a cynosure is called for. By that I mean: a guiding star, strongly attracting attention, even admiration; just like a dog's tail, where the word cynosure comes from. This cynosure would have to be trusted by the dog people and the public at large. This person, or organisation, would have a difficult but not impossible task, that of persuading the general public that legislation is not appropriate or justified and the dog people that some action is needed by them, if only to prevent interference from outside the sport. Every time opposition is met within the dog game, one counter is obvious: OK, let's leave it to the legislators! In the light of the hunting ban, the DDA and the docking controls this is surely no idle threat. The threat of legislation initiated by The Council of Europe, ETS 125, has prompted the KC to append a fault clause in breed standards, to the effect that judges must take account of exaggerations beyond the wording of the breed standard. One commentator described this move as 'brilliant'; I suspect that an animal welfare activist might view it as a 'cop-out', a means of avoiding doing anything authoritative. And would every specialist Basset Hound judge see something wrong in overlong ears, under-length legs, sagging eyelids or elongated spines? Would every Bulldog breeder anticipate the judge marking down or dispatching from the ring an exhibit with no muzzle? For many the wording of the breed standard is a challenge; long can mean very long, loose can mean very loose, short can mean extremely short. Our much-needed cynosure has to take steps to remove the threat of legislation not reinforce the need for it. There has been too much wriggling over the interpretation of breed standards for far far too long. It is not usually done by the gifted breeders but by unsuccessful ones, striving to win, whatever the cost to their breed. In so many breeds untypical exaggerations have been tolerated for so long by weak committees that untypical has become typical. This is dishonest and has often been associated in the distant past with crafty breeders promoting their own flawed stock to the detriment of the breed. I use the word flawed because that is exactly what a diversion from true type is: a flaw; worse even than a fault. 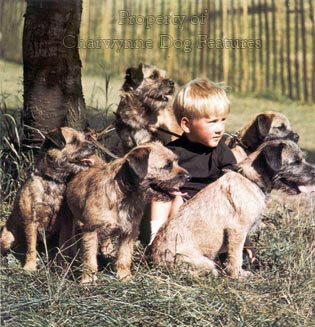 I admire the breeds of Deerhound and Border Terrier because they have managed to avoid being changed by generations of breeders, some no doubt not without influence. I resent the breach of faith represented by the head of the Bull Terrier in today's rings. I dislike the lack of substance in contemporary Boxers, so unlike the Boxers I saw when living in Germany over forty years ago. 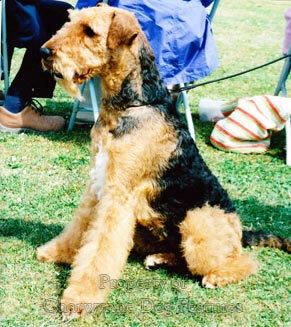 I regret the seemingly upright shoulders now de rigueur in the Airedale, so unlike the dogs I saw in the 'Bengal' kennel half a century ago. And these are relatively harmless innovations. What a field day an animal rights fanatic would have examining old photographs or accurate paintings of some breeds and seeing how in time breeders have knowingly reduced their quality of life. The wording of breed standards, and especially the 'fault clauses', do not by themselves, protect every breed from their own fanciers. The KC has, commendably, striven recently to make breed clubs more responsible for the welfare of their breeds, especially in regard to genetic health. They should not have to do this; who cares more for a breed, the KC or its breed clubs? Against that background, it can hardly be left to judges and breeders to decide on degrees of exaggeration which are harmful. The KC claims to exist for the improvement of dogs and is the ruling body in the pedigree-dog world. But with their involvement in the DDA legislation in mind, coupled with their lack of authority in the docking dispute, could it be the best choice of a body to see through measures to obviate the need for 'harmful design' legislation? Somewhere out there surely is our cynosure, informed enough to engender trust, of sufficient stature to have effect, skilful enough to know when to stand firm and when to concede ground, but forever working for the long-term betterment of dogs -- and the defeat of ignorant do-gooders who so often do more harm than good. It calls for a knight in shining armour more than an expensive advocate in a wig and a gown! But where from?